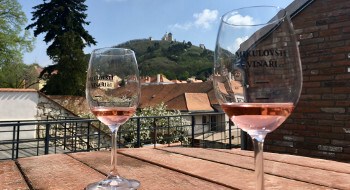 Mikulov, a traditional wine centre in South Moravia, picturesque place with the atmosphere of a mediterranean town, is the right place for you to get authentic wine tasting experience. 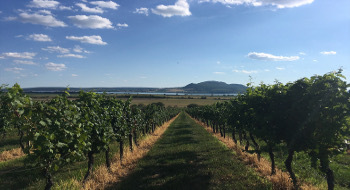 Your trip begins in a local winery located in the town centre with welcome drink and introduction from a local winemaker. After short intro you continue to vineyards where will be conducted “a terrain wine tasting”. On the way back from vineyards is planned a stop in another small local winery with wine degustation and presentation of winery premises. Following is free time for lunch and inidividual visits of local sights. The whole wine tasting experience in Mikulov will be concluded in the newly open wine gallery where you find a collection of wines from small local wineries and you will sample the best what region can offer to wine lovers. 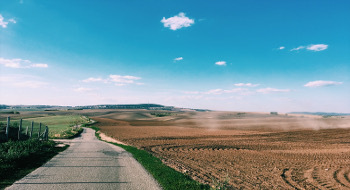 The South Moravia region can be rightfully called the land of wine. 96% of the total of registered vineyards in the Czech Republic are located here. The area, with the oldest grape growing and wine making tradition in the country, is further dividied into 4 wine subregions. This wine tasting trip will introduce you Mikulov wine subregion, one of 4 Moravian wine subregions. During this trip we will visit the National Wine Salon of the Czech Republic in Valtice UNESCO town (former Liechtenstein princely residence) where we will taste samples of the best Czech wines, the winners of the highest wine competition in the Czech Republic. The trip is combination of wine tasting and visting UNESCO monuments.